Are you in pain and need the help of a skilled chiropractic professional to help you get back to your life? Whether you’ve suffered an injury from sports, work or an automobile, the experienced doctors of East Side Chiropractic Office will help you receive the great chiropractic treatments you need. We know that each patient has unique requirements and expectations, and our staff will work with you to map those needs by creating care and services that work towards your goals quickly and effectively. East Side Chiropractic Office also performs occupational health checks, family care and much more. We are proud to accept most insurance plans and will work with you to give you great treatment at an affordable price. Dr. Kenneth A. Urban, D.C., C.C.S.P. and Dr. Micheal Zastrow DC. are committed to giving you great chiropractic services no matter what your needs are. 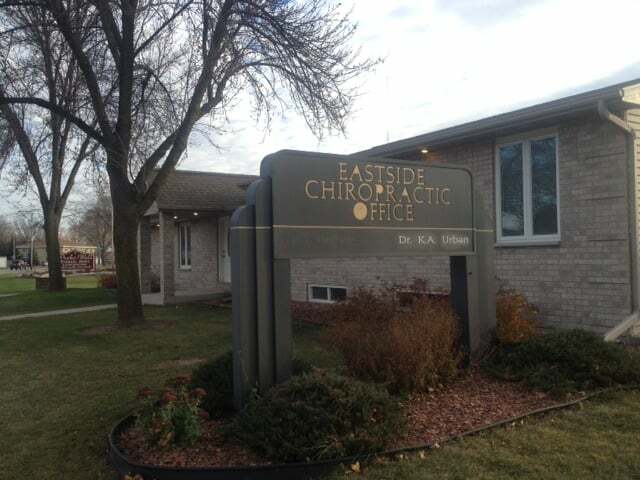 To learn more about East Side Chiropractic Office, contact or visit us today!